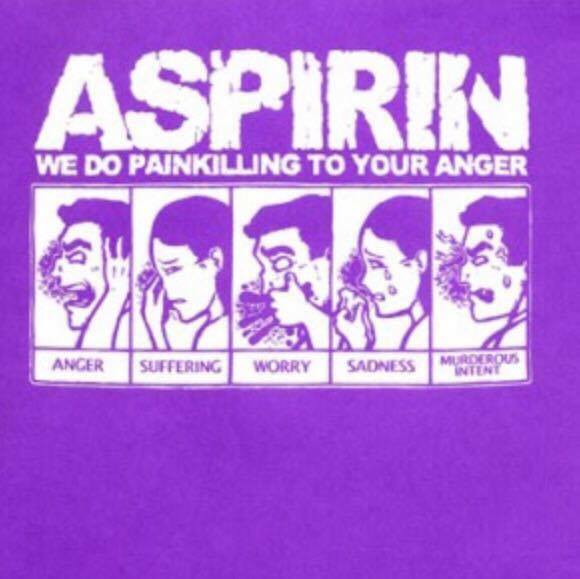 There are lots of reasons to be angry about cancer, but when you find out just how effective aspirin is, as both a preventative measure and treatment (even cure), you might move from anger and suffering, skipping past worry and sadness, straight on up to murderous intent. Of course aspirin isn’t only effective in relation to cancer, because that isn’t how biology and metabolism works, and – contrary to the modern mainstream medical myth – cancer is actually a biological, metabolic issue. In fact aspirin can be helpful with almost any physiological problem arising out of exposure (both internally and externally) to chronic and acute stress, and stress is a fundamental driver of cancer and many other inflammatory diseases. Aspirin helps to protect against stress by improving the function of metabolism in general. One way it does this, is by protecting against the escalation of inflammation (and numerous other symptoms) arising as a result of interference with thyroid energy systems. Suppression of thyroid energy metabolism promotes (and is promoted by) inflammation. Inflammation and thyroid dysfunction are interconnected with issues relating to proper cellular and mitochondrial performance, interference with enzyme activity, increased use of fat (and decreased use of sugar) for fuel, combined with more exposure to free fatty acids, lipid peroxidation and oxidative stress. Aspirin has beneficial effects in relation to all of these things, and all of these things have been shown to be involved in the development of cancer and metabolic illness in general. This is a good way to understand some of the reasons why aspirin is beneficial in relation to protection from heart disease and stroke, but also depression, diabetes and insulin resistance. And then there is its use for the treatment of Alzheimer’s or neuroprotection in general. Not to mention it’s effectiveness in relation to hypertension, pregnancy and fertility issues, and an almost endless list of other symptoms or conditions. There is a huge amount of quality scientific experimentation (available for pretty much anybody to look at), which demonstrates the many powerful ways aspirin can protect against disease – including many regarding cancer – and not just simply as a preventative measure. Scientists (working for governments and pharmaceutical companies) all over the world have been attempting to use the physiological effects of aspirin as a model to assist in finding a cure for cancer. But is that really all that they are looking for? There seems to be an ongoing race to develop new products modeled on aspirin (which would provide similar positive results in relation to cancer), but different enough to be able to be patented, as a means to making oodles and oodles of dinero. Unfortunately however, there is no guarantee that whatever is produced will match the manner in which aspirin (tried and tested for many decades) works to safely provide physiological protection, including chemotherapeutic benefit. But it’s hard to make the big money out of something so widely and cheaply available, even if it does work better than more recent products. Many of the substances which are known to rise in times of stress – cortisol, serotonin, estrogen, nitric oxide, lactate, growth hormone, prolactin, the polyunsaturated free fatty acids and prostaglandins – do so because of the ways that stress interferes with metabolic function. The stress substances are involved in the promotion of inflammatory conditions, and are known to rise under circumstances where thyroid energy metabolism is suppressed. Aspirin has been demonstrated to be able to reduce exposure to the disease promoting stress materials. A lack of energy supply (in combination with continuous exposure to excessive levels of the stress substances and promoters of inflammation) has been demonstrated to be a significant driving force behind the onset and development of cancer. Sugar is an optimal energy source and a fundamental anti-stress substance. Even when enough sugar is being provided (and unused supplies are available), ongoing exposure to inflammation and the substances of stress, are important factors which can interfere with the proper utilization of available sugar for energy, and this can make a return to normal function difficult. Aspirin can help protect against the things that interfere with the use of sugar for fuel and stress reduction. It’s safe to say that aspirin helps to protect against inflammation and disease, by improving the function of metabolic energy systems in a variety of ways which help reduce stress and interference with cellular performance, often the result of excessive exposure to cancer promoting substances such as cortisol, estrogen, nitric oxide and the breakdown products of polyunsaturated fats. 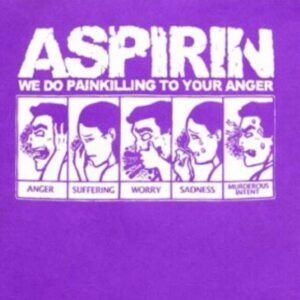 You can see why aspirin is threatening. For starters, if enough people were convinced of its protective ability in relation to cancer, that could damage the popular myth which states that ‘modern science’ is always moving forward in the direction of greater understanding of the causes and treatments of serious illness. But just think about what’s been known for decades about the benefits of aspirin, and consider the fact that the dangers of aspirin have been shown in many cases to be overblown. There’s no end to the amount of research that can be done, but it won’t change the fact that aspirin already works right now. So what are they waiting for? Perhaps another fear is that acknowledging the truth about how aspirin works might eventually promote alternative (biologically valid) explanations for cancer development, and that this will cause a flow-on effect, unmasking ineffective and harmful products or treatment methodologies across the board. I’m not a doctor or health practitioner or a scientist of any sort, and I’m not here to give advice. Read the arguments. Have a look though the science. There are however, those who believe that it makes more sense to look at cancer (rather than simply as some kind of genetic disease) as a reasonably normal reaction of cells – doing the best they can to keep you alive and functioning – after a certain amount of time being subjected to ‘unnatural’ (or excessively stressful) conditions. At moments like this it seems more appropriate – rather than saying ‘f%#k cancer’ – to say ‘f&$k the cancer industry’, and all the related organizations and industries which have helped muddy the waters surrounding the true causes of (and really effective approaches to protecting against or even treating) cancer, in the name of greed and power. You see, if everything can cause cancer, and nothing can cure cancer, it becomes easier to get away with selling things that actually cause cancer, and things that really can’t cure cancer, whilst at the same time avoiding competition from the things that actually don’t cause cancer and things that really do cure cancer. Was that clear? Association between nonsteroidal anti-inflammatory drug use and the incidence of pancreatic cancer. Association of aspirin and nonaspirin nonsteroidal anti-inflammatory drugs with cancer incidence and mortality. Effect of aspirin and other NSAIDs on postmenopausal breast cancer incidence by hormone receptor status: results from a prospective cohort study. Association of aspirin and nonsteroidal anti-inflammatory drug use with breast cancer. Aspirin inhibits arachidonic acid metabolism via lipoxygenase and cyclo-oxygenase in hamster isolated lungs. Nonsteroidal anti-inflammatory drugs and risk for ovarian and endometrial cancers in the Iowa Women’s Health Study. The influence of aspirin on exercise-induced changes in adrenocorticotrophic hormone (ACTH), cortisol and aldosterone (ALD) concentrations. Effects of regular aspirin on long-term cancer incidence and metastasis: a systematic comparison of evidence from observational studies versus randomised trials. Aspirin inhibits both lipid peroxides and thromboxane in preeclamptic placentas. Changes in thyroid hormones by treatment with aspirin and prednisolone in subacute thyroiditis with hyperthyroidism. Aspirin and cancer risk: a quantitative review to 2011. Nonsteroidal anti-inflammatory drugs and risk of ovarian cancer: systematic review and meta-analysis of observational studies. Aspirin might reduce the incidence of pancreatic cancer: A meta-analysis of observational studies. Personalizing Aspirin Use for Targeted Breast Cancer Chemoprevention in Postmenopausal Women. Aspirin attenuates pulmonary arterial hypertension in rats by reducing plasma 5-hydroxytryptamine levels. Cyclooxygenase-2 polymorphisms, aspirin treatment, and risk for colorectal adenoma recurrence–data from a randomized clinical trial. Aspirin is associated with lower melanoma risk among postmenopausal Caucasian women: the Women’s Health Initiative. Aspirin Use and Reduced Risk of Pancreatic Cancer. Effect of Aspirin on Spinal Cord Injury: An Experimental Study. Is aspirin use associated with a decreased risk of ovarian cancer? A systematic review and meta-analysis of observational studies with dose-response analysis. Aspirin suppresses the abnormal lipid metabolism in liver cancer cells via disrupting an NFκB-ACSL1 signaling. Aspirin inhibits inducible nitric oxide synthase expression and tumour necrosis factor-alpha release by cultured smooth muscle cells. Risk of prostate cancer in low-dose aspirin users: A retrospective cohort study. Aspirin and salicylates inhibit the IL-4- and IL-13-induced activation of STAT6. Salicylate or aspirin inhibits the induction of the inducible nitric oxide synthase in rat cardiac fibroblasts. Aspirin therapy reduces the ability of platelets to promote colon and pancreatic cancer cell proliferation: implications for the oncoprotein c-MYC. 2306 Aspirin and gastro intestinal malignancies; improved survival not only in colorectal cancer? Antitumor effect of aspirin in glioblastoma cells by modulation of β-catenin/T-cell factor-mediated transcriptional activity. Cyclooxygenase-derived proangiogenic metabolites of epoxyeicosatrienoic acids. Low-dose aspirin and cancer mortality: a meta-analysis of randomized trials. Next story ‘Leaky Gut’ & The Stress Matrix. Previous story High Anxiety, When Sugar Falls.